Oatmeal is one of those dishes that isn't too hard to cook traditionally but I use sous vide for the convenience. I eat oatmeal almost every morning and I like to make a bunch ahead of time. Since you can cook and store the oatmeal in the same Mason jar, there is no cleanup of a pot and spoon, making it quick and easy to do. 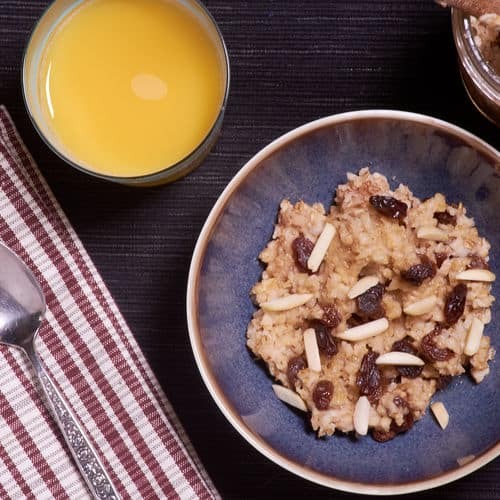 This recipe adds cinnamon and raisins to the oatmeal, adding bursts of sweetness and sharp background notes. For this recipe I call for Bob's Red Mill Organic Quick Cook Steel Cut Oats because they are what I usually use. You can use any oatmeal you like and just change the time and water amounts. In general, it takes about 20% longer than is called for on the stove, and the amount of liquid needed is only about 50% to 80% of what you usually need due to the lack of evaporation. When you put the Mason jar into the water bath, be sure to do it slowly and carefully. I highly recommend using a Mason jar lifter. I've only had 1 glass break out of maybe 30 attempts, but it's a real bummer. I also use warmer water when I'm filling the jar, just to keep the temperature difference smaller. 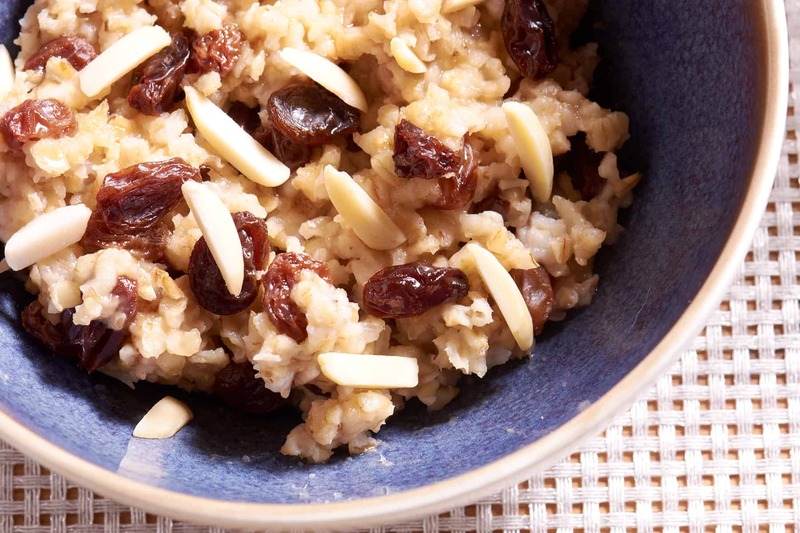 If you would like more information about the modernist techniques, ingredients, and equipment used in the cinnamon raisin oatmeal recipe you can check out the following. Preheat a water bath to 183°F (83.8°C). 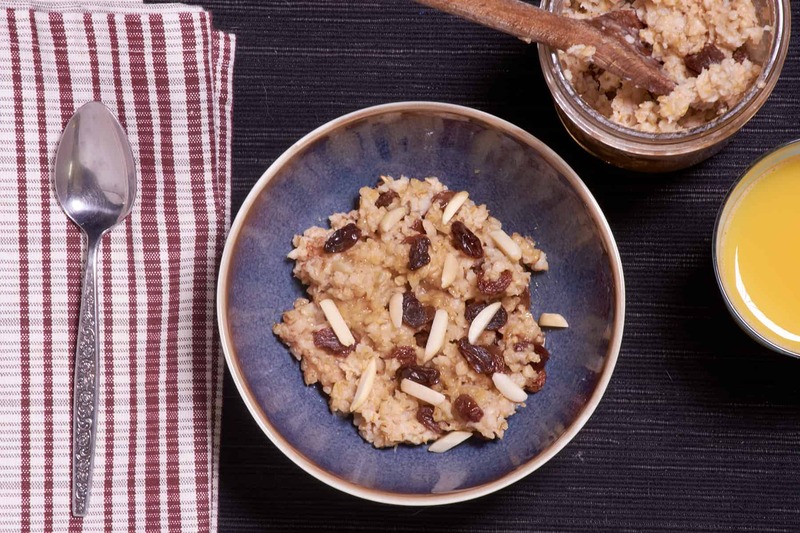 Combine the steel cut oats, raisins, water, cinnamon, and salt in a pint Mason jar. Hand tighten the lid, making sure not to over tighten it. Shake up the Mason jar then carefully place it in the water bath. 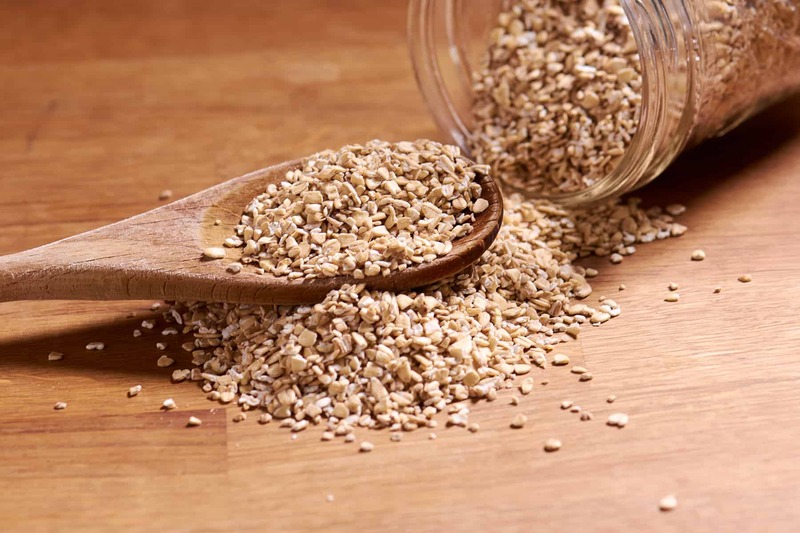 Cook the oatmeal for 30 to 45 minutes, until the water is absorbed and the oatmeal is cooked through, shaking the jar once or twice during the process. 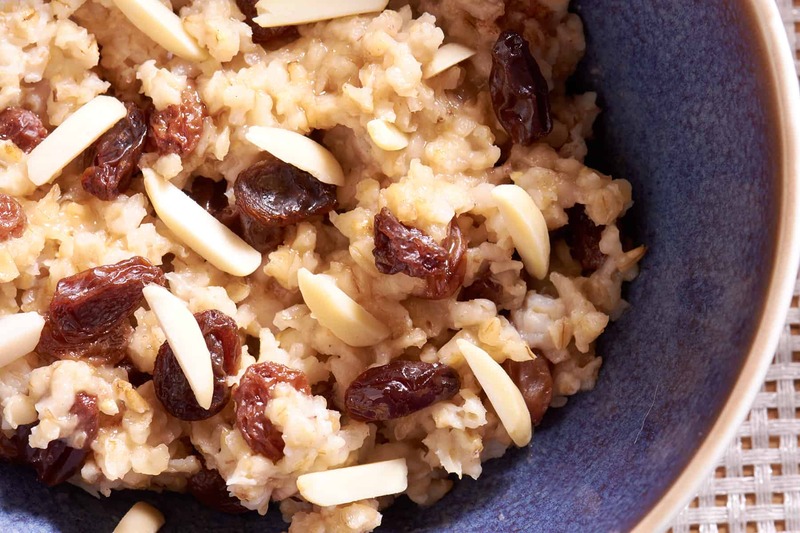 Spoon out some oatmeal into a bowl. Drizzle with the maple syrup if desired, then top with the almond slivers. I eat oatmeal almost every morning and I like to make a bunch ahead of time so sous vide is the perfect solution for me. 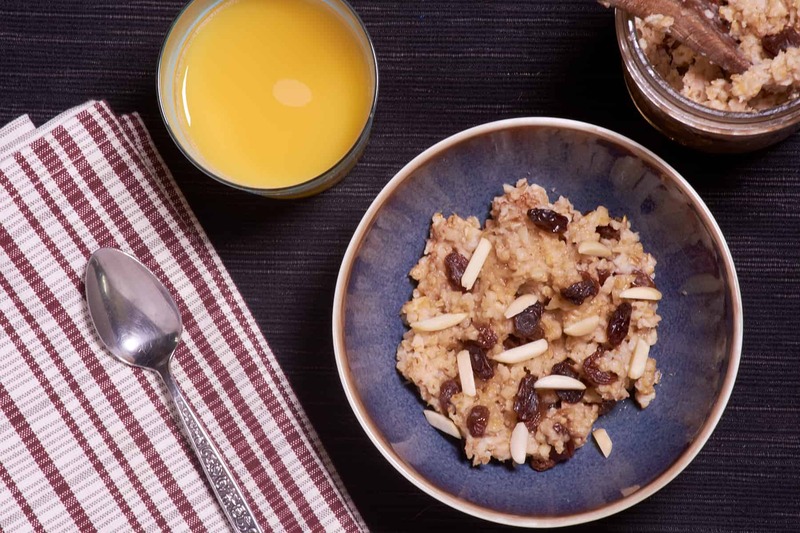 This is a favorite sous vide oatmeal recipe.